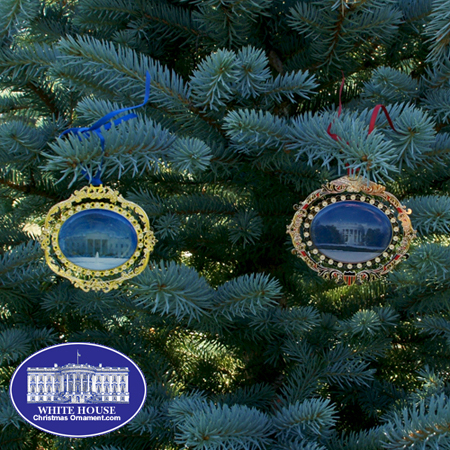 Christmas Ornaments Made in USA - 2010 White House North and South Portico Ornament Set - A Christmas Ornament Co. The South Portico was constructed in 1824 when James Monroe was President and overlooks the National Mall. The rounded structure with columns is the South Portico and is often used as an entrance for visiting dignitaries after a ceremony on the South Lawn.